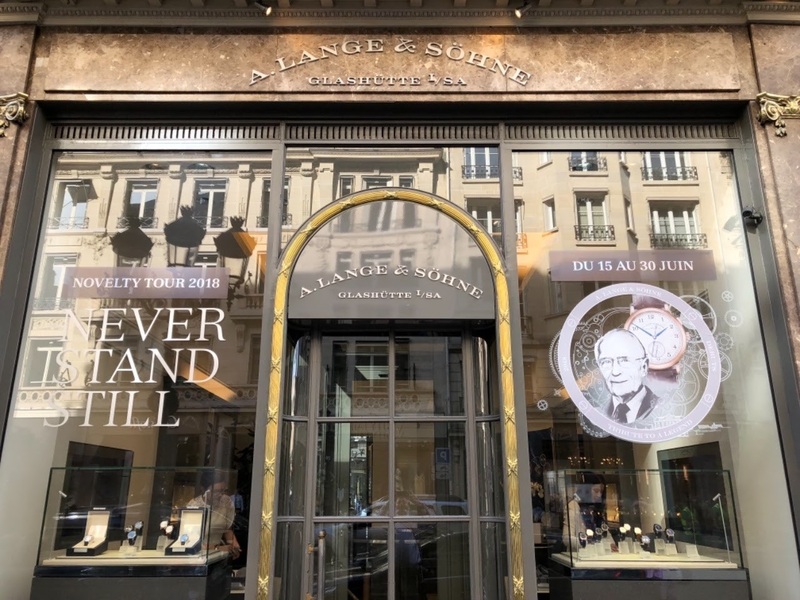 The 2018 Lange novelties can be seen at the boutique in Paris between the 15th and the 30th of June. Of course, I rushed the first day of the exhibition to see them again several months after the SIHH. If you remember well, in 2017, the complicated pieces were missing in the similar exhibition which took place during the same period. But, and it is a relief, we haven't faced this issue this year: the Triple Split landed on Paris for our deepest pleasure! 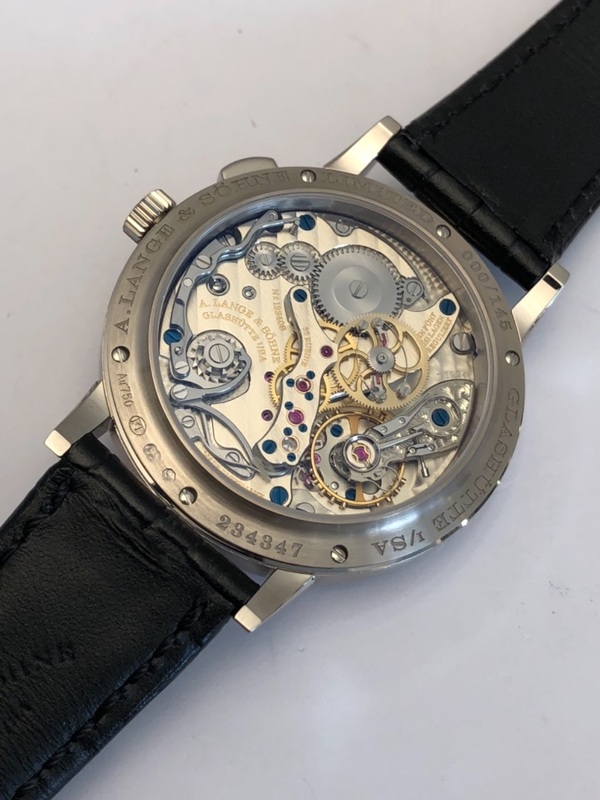 I already wrote about the main watches of the collection so I will not bring a lot of details. 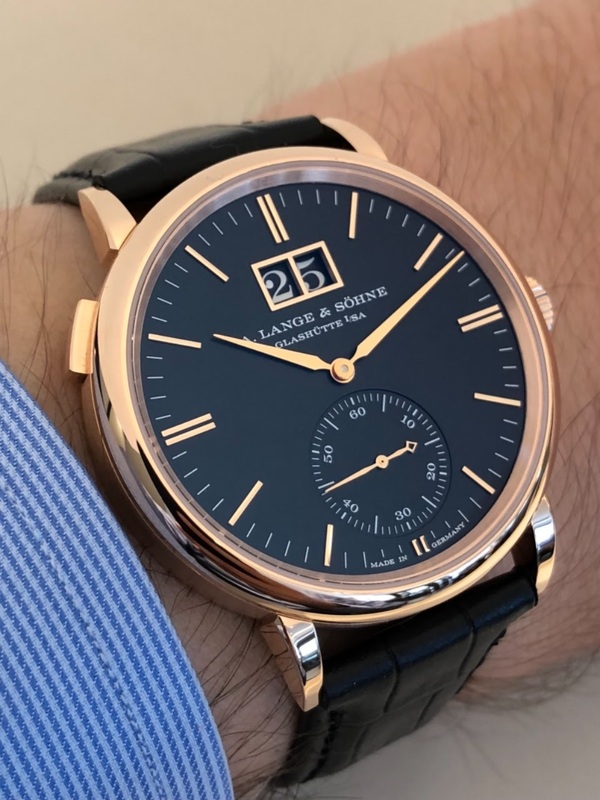 Having said that, it is always good to see the same watches after the SIHH just to check if the feelings are the same. When it comes to the Triple Split, I don't have any doubt: this piece is awesome. 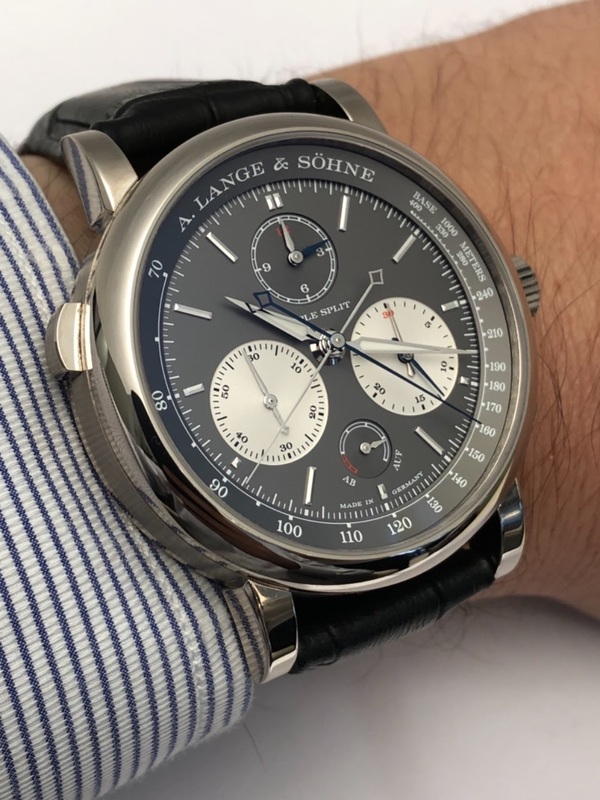 I will not consider it as a huge step beyond compared to the Double-Split but Lange managed to add an additional split-chronograph display (the hours one) while keeping a similar size than the Double-Split. Let's go to another side of the collection. 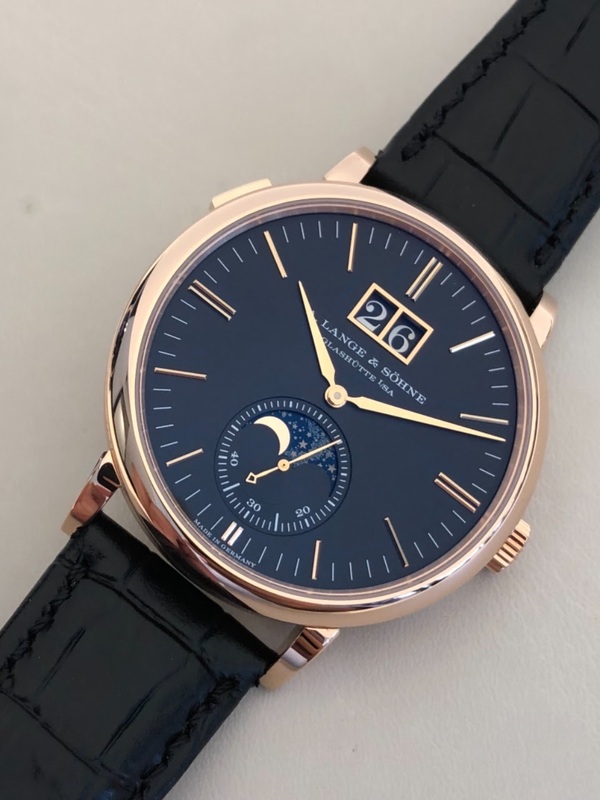 The 1815 Walter Lange is the tribute to the late Walter Lange who passed away during the SIHH 2017. 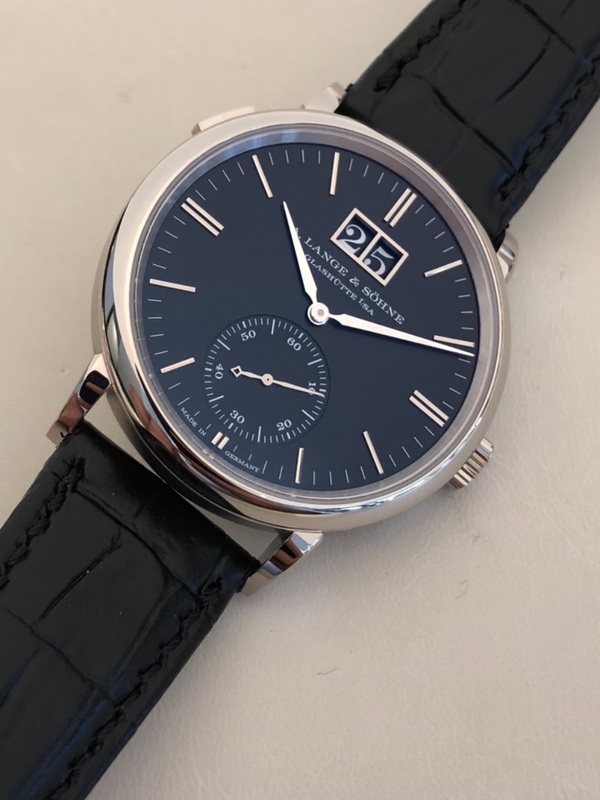 This watch is for me the perfect homage to him: it is pure, discreet and features an interesting additional complication. 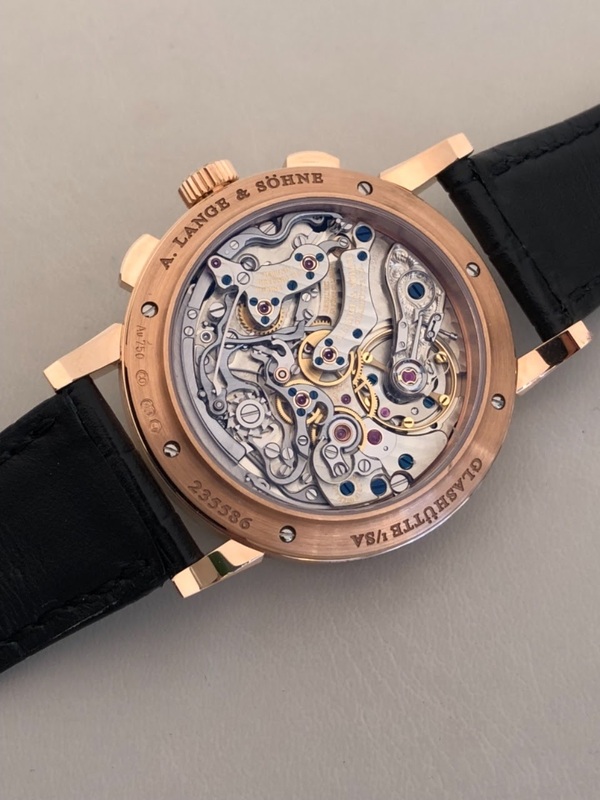 This watch is unique in the watchmaking landscape since it can be considered as a half-way between a three-hand watch and a chronograph. 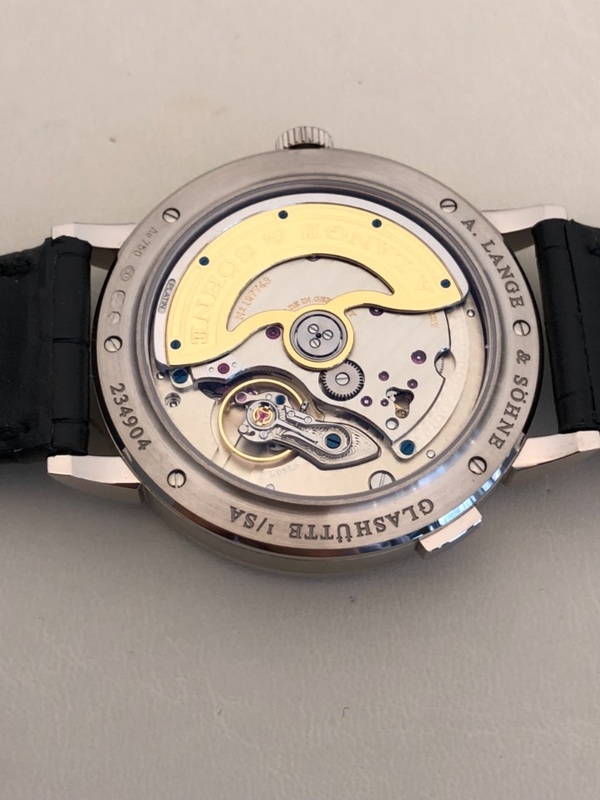 The ability to start and stop (but not reset) the big central jumping second hand is really a nice feature which allows the owner of the watch to measure very short times. Look at the movement. 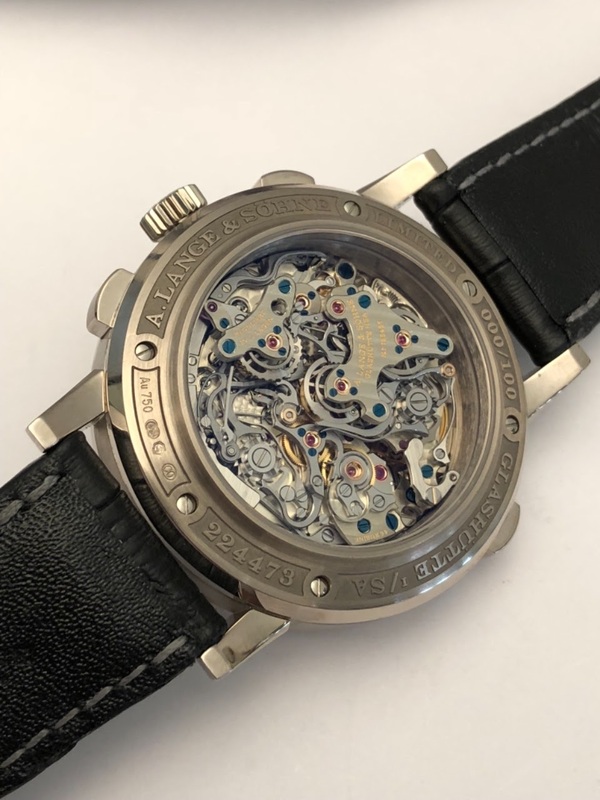 It offers an unusual architecture which combines the start/stop system and the independent central jumping second hand mechanism. 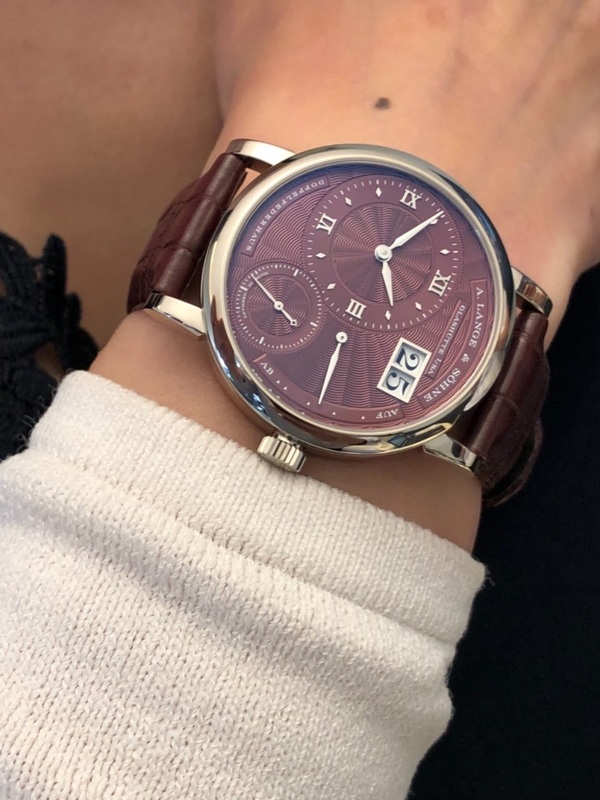 Ladies were not forgotten and the new version of the Little Lange 1 are very appealing especially with the purple dial... this watch is really great on a lady's wrist! 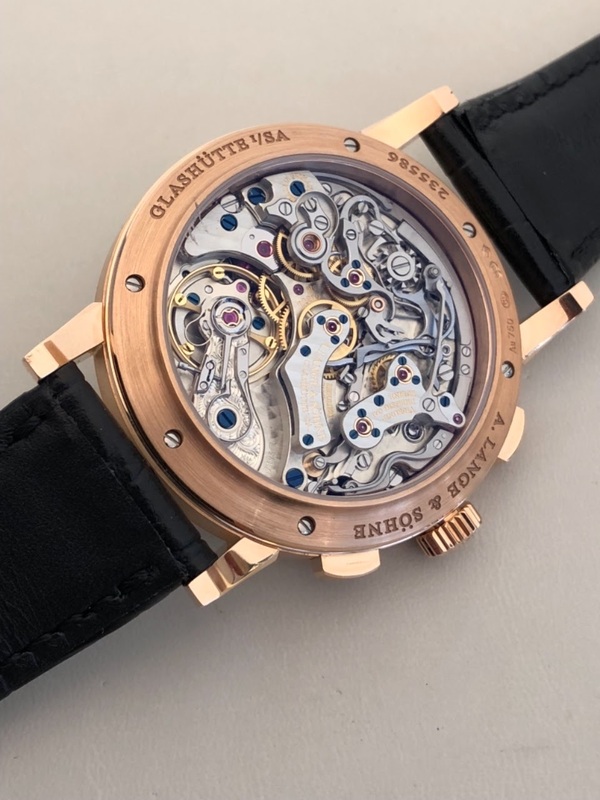 An old friend is back with a pink gold case. 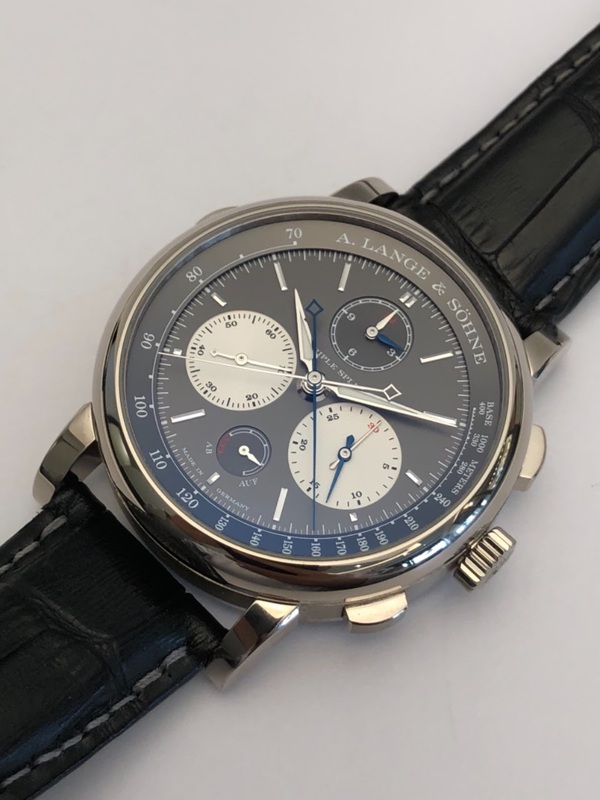 The 1815 chronograph found again with the boutique edition its pulsometric scale and now it gets a new case material in its latest configuration. Both dials work very well with the pink gold case. 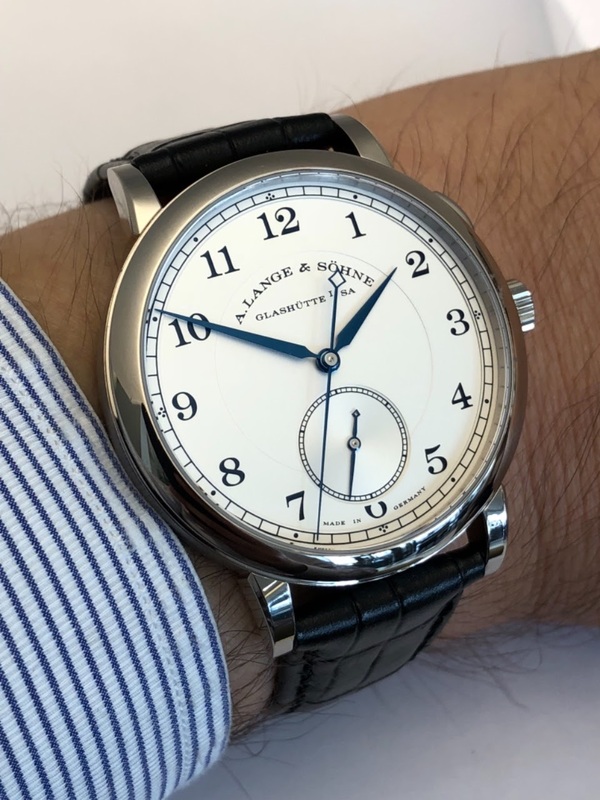 The silver dial gives a more discreet and refined touch while the black dial brings more spice. 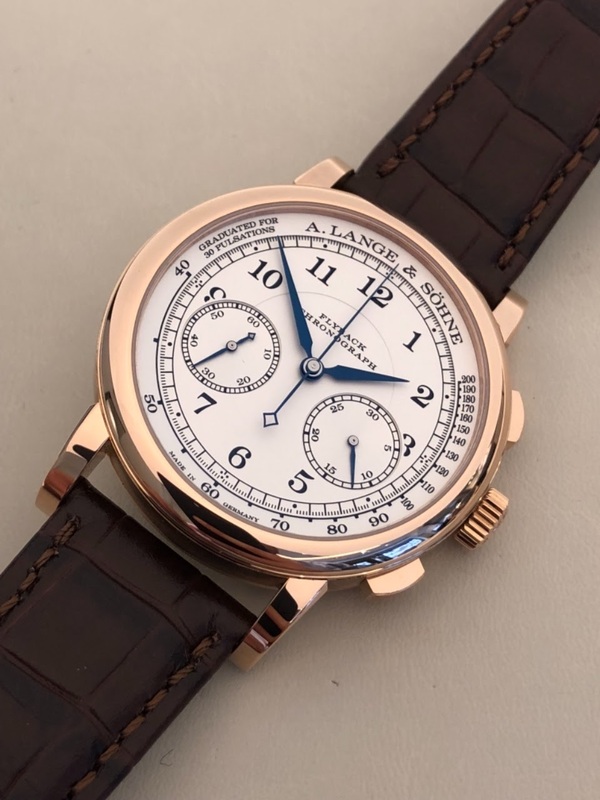 Do you remember the first 1815 chronograph with a pink gold case? This time the subdials have the same colour than the dial and the contrast disappeared. 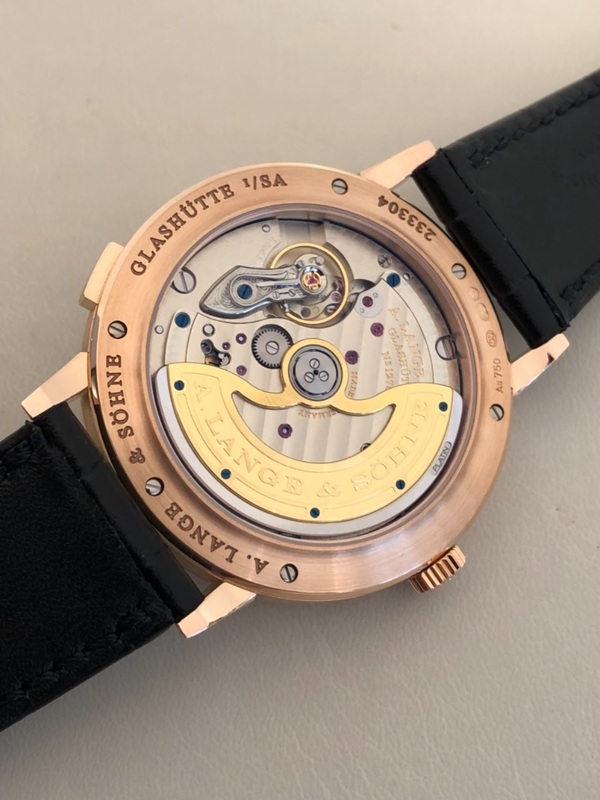 Obviously, the movement remains gorgeous... you recognize that it is the latest version due to the presencer of the counterweights on the balance wheel. 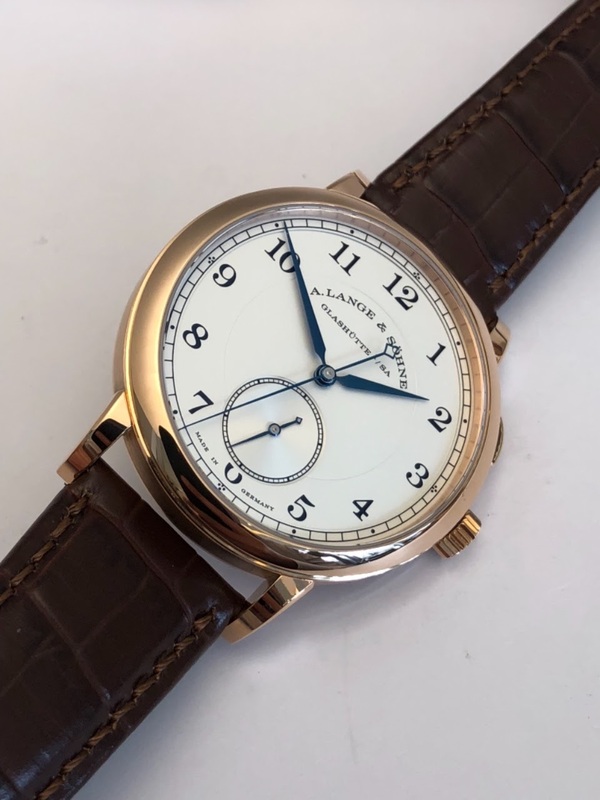 The other novelties are dedicated to the Saxonia line with black dials joining the party. 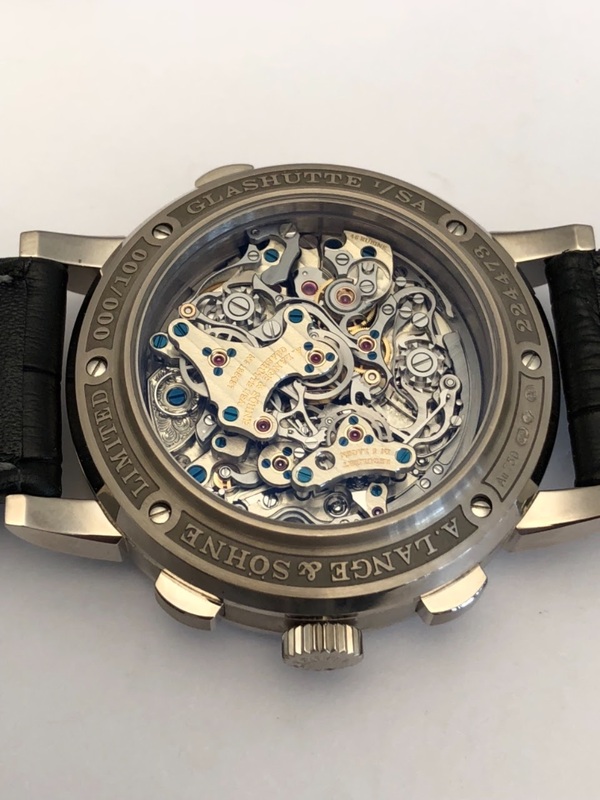 Sadly, the watch is powered by a central rotor automatic movement... I wished to see the sax-o-mat back! 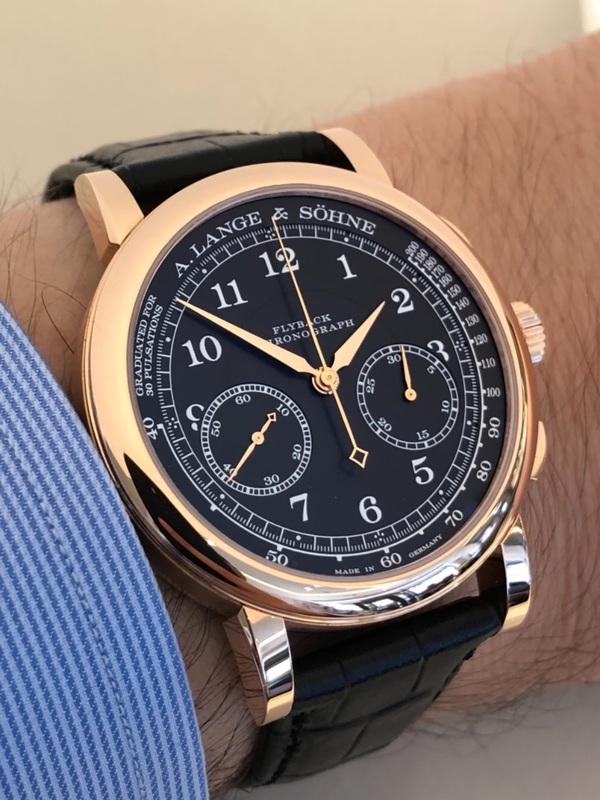 I tend to prefer the pink gold version because the white gold one is a bit too quiet for my taste. 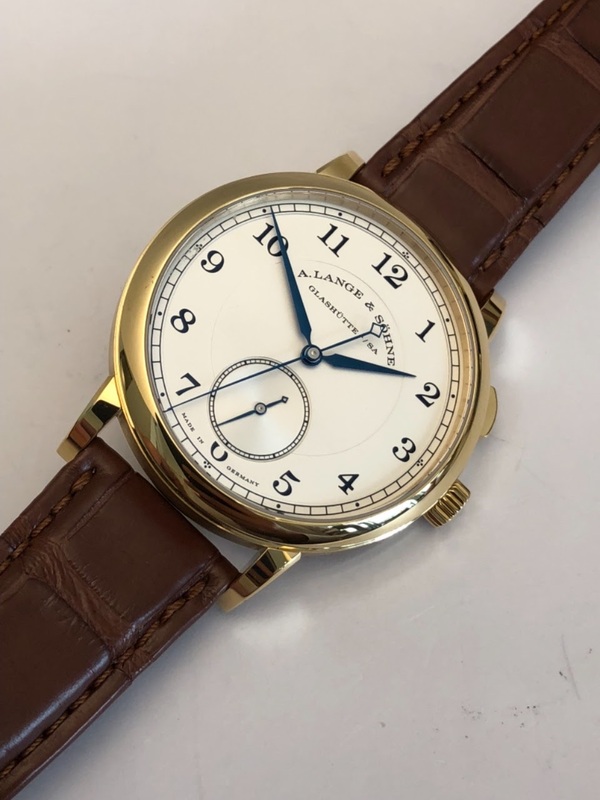 Lange did the same move with the Saxonia Outsize date. You will notice that the big date numerals are also written on black disk and cross to keep a consistent design. Honestly, I don't know if I would have preferred to have a white big date or not. The white date would have attracted a lot (too much?) the eye but at the same time, the dial would have been more daring. 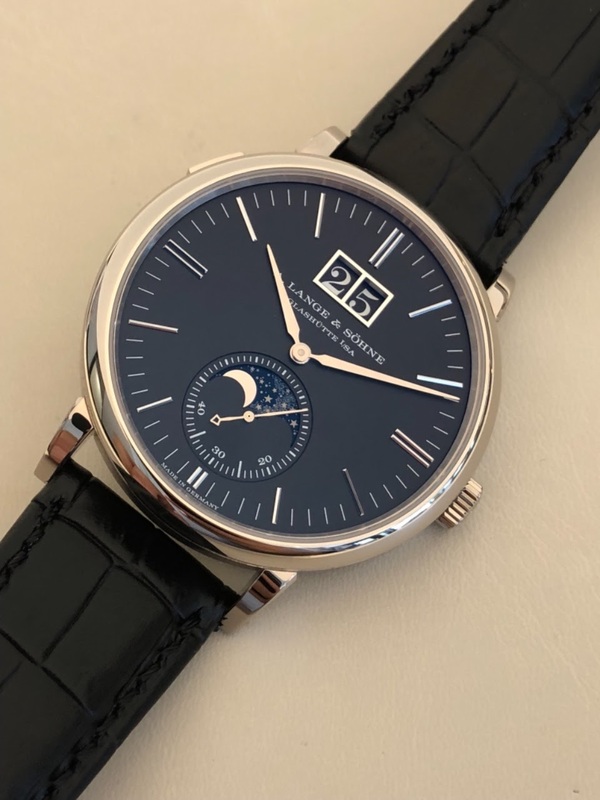 Anyway, the watches are nice, well made but I much prefer the Saxonia Moonphase. I have here again the same remark: I prefer the pink gold version. 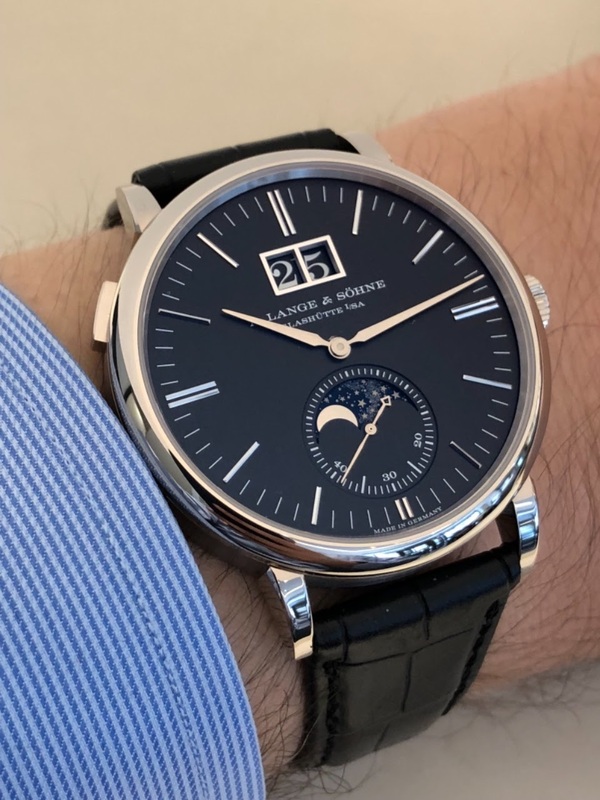 The "monochrome" style of the white gold Saxonia Outsize date is too quiet for my taste. 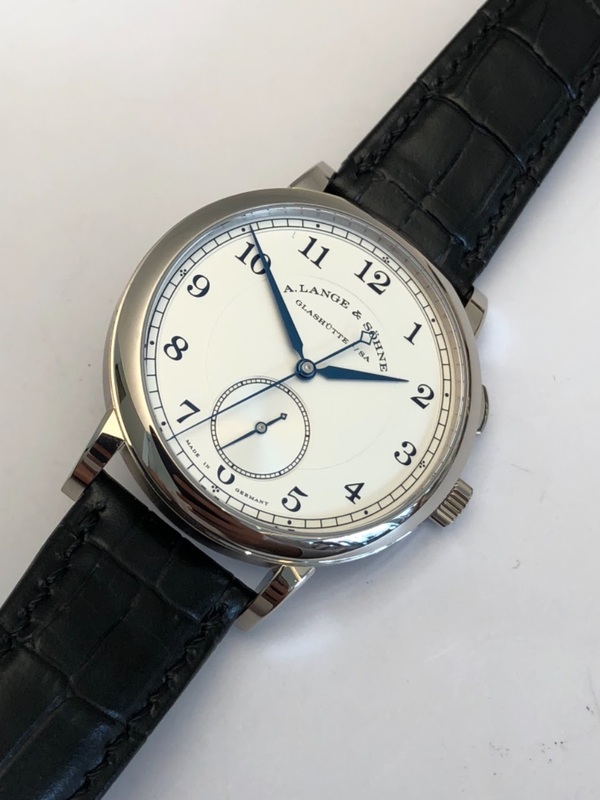 I presented you a picture of the Saxonia Thin with the gorgeous blue dial a few days ago. 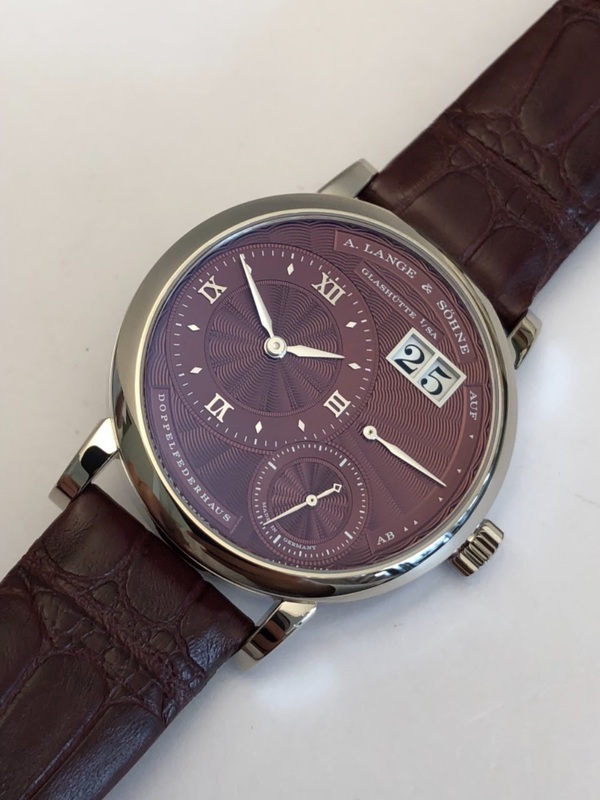 Because I do believe that Lange needs to put more dynamic in its entry level segment. Things are too roundabout in my point of view. 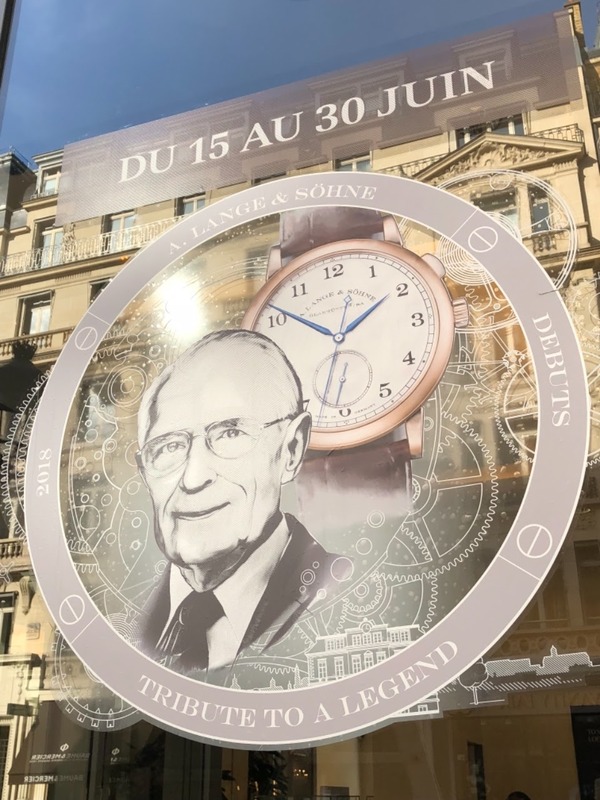 If you are in Paris, don't miss the opportunity to see these watches till the 30th of June at the boutique located 19 rue de la Paix. Thanks to the staff of the boutique. 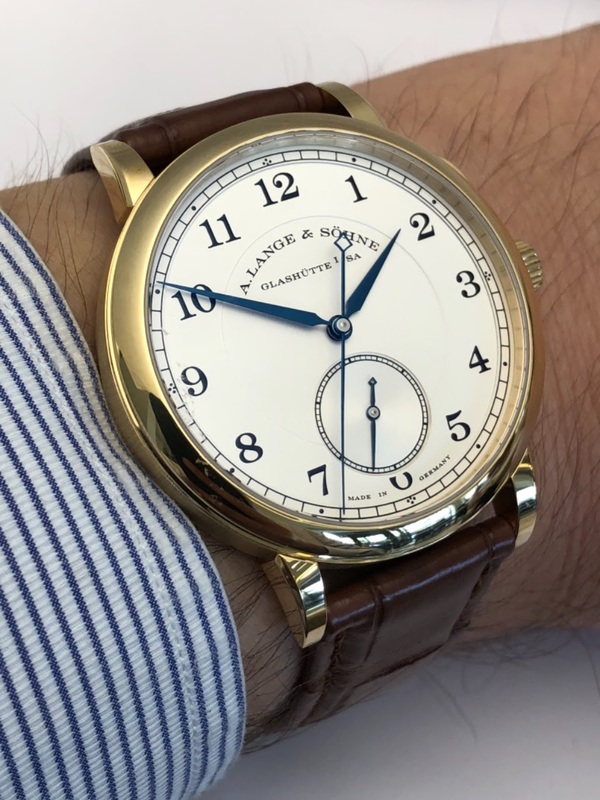 Excellent boutique review… some superb pieces, but I agree with you that they need to move forward in design terms. 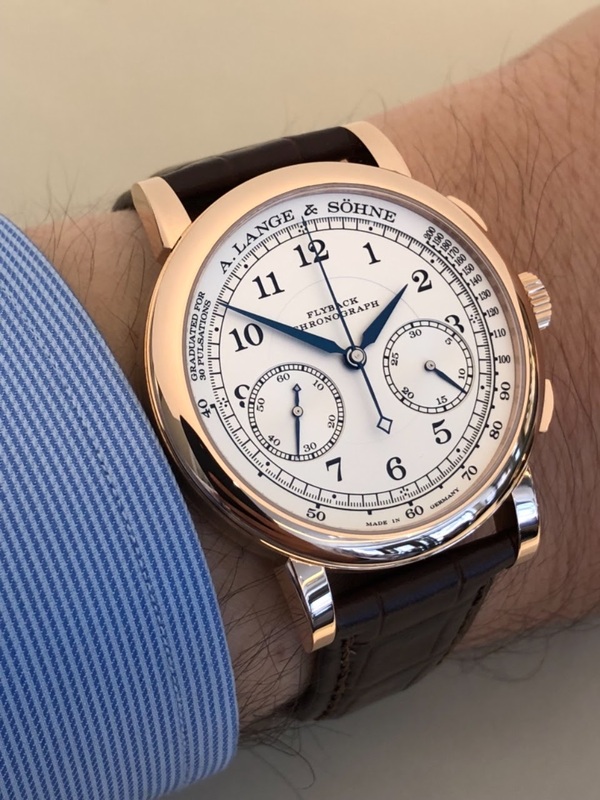 They need to produce a competitor to the Patek Phillipe 5960. It is a very interesting comment. 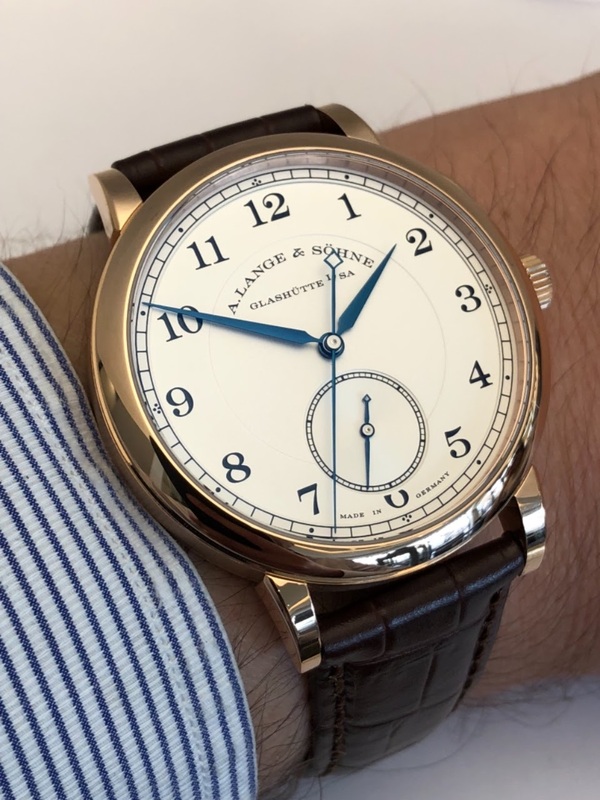 I don't expect a "sportive" watch but a more casual one. 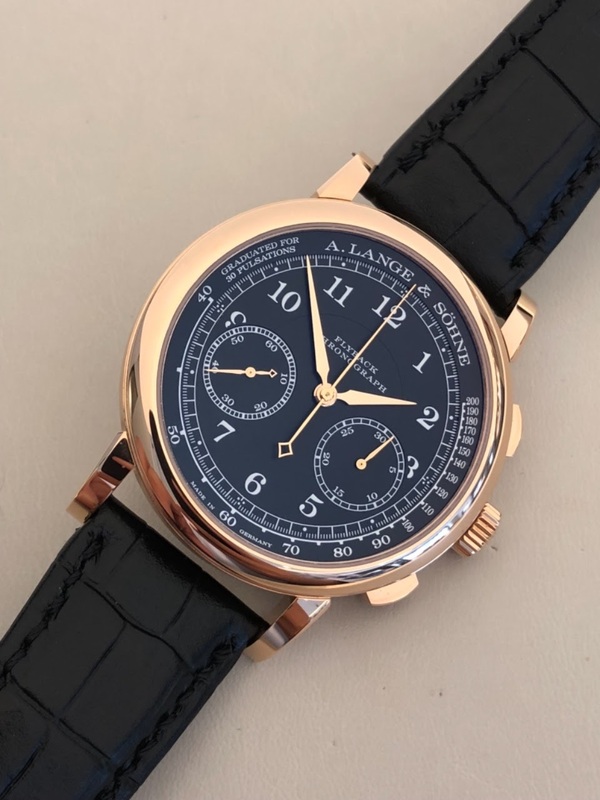 With the Lange quality and principles of course! 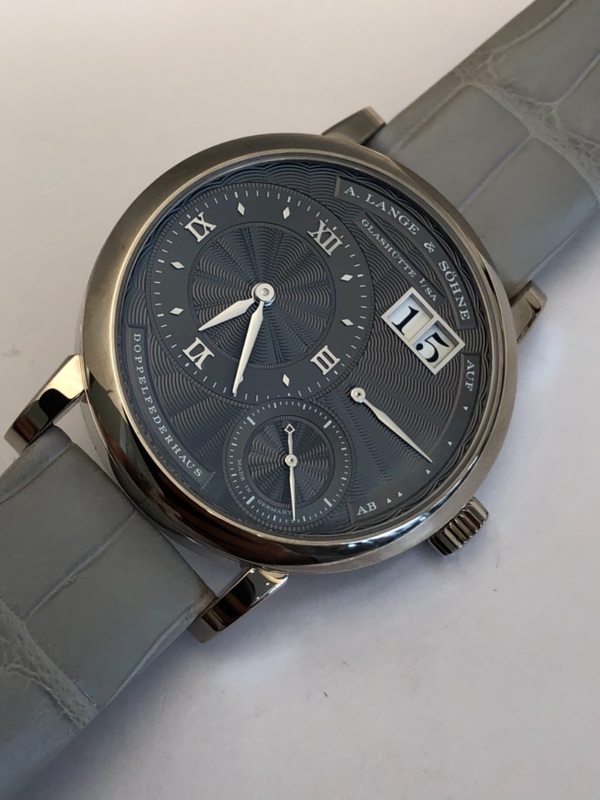 Any clue as to the watches that you are considering … It’s interesting. 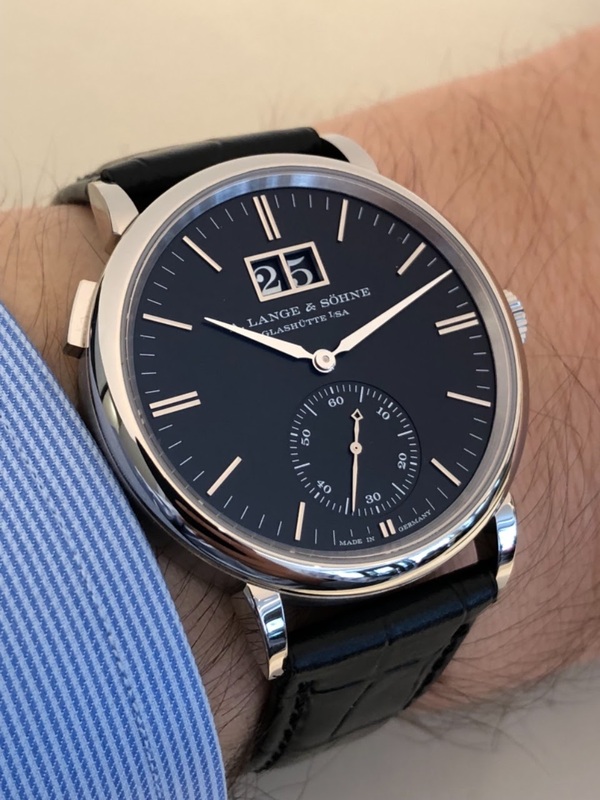 The Triple split, the 1815 Chrono RG / Black dial, and the Walter Lange, of course. Three superb watches. But I would vote for the Triple Split which is superlative! Thanks Nicolas for your comments! The Triple is pure beauty despite its size. +1 … great choice ! Your father had a beautiful first name René. We also have a famous François-Xavier church here in Paris. 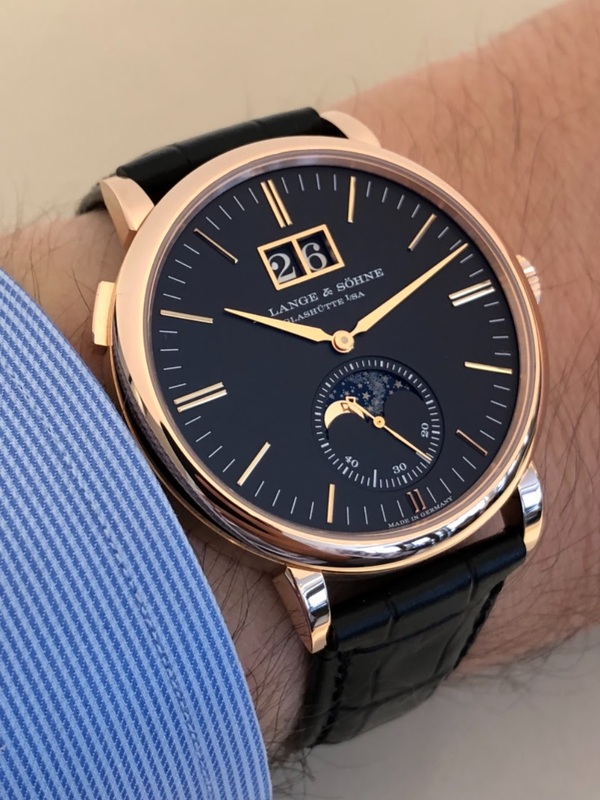 I agree with you on every point but one: I love the black windows matching date window to dial. The black dial for the RG chronograph, without the contrasting sub-dials, is very attractive. Great review, Fx!